Meet Bonti Saikia from Assam, who has been honoured by PM Modi recently at the #ChaloChamparan event for her dedicated swachh efforts to make her village in Assam open defecation free to fight Diarrhoeal deaths. In India, Diarrhoea kills 328 people every day and 13 every hour. For 47-year-old Bonti Saikia from Jorhat district in Assam this was not just another statistics to shake your head at sorry state of affairs and move on. For Bonti this was a cause worth fighting for. Her fight against Diarrhoea started few years ago from her home-town in Assam, when she learnt that regular practice of open defecation and lack of good hygiene in the village is the reason behind this deadly disease. Today, because of her persistent efforts, her village has been successful in eradicating open defecation and diarrhoeal deaths have come down significantly. 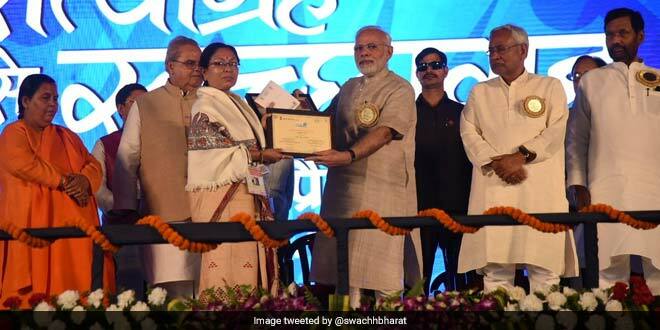 At recently held concluding ceremony of #ChaloChamparan in Bihar, Bonti was also honoured by Prime Minister Narendra Modi for her dedicated Swachh efforts. Year-after-year, I used to see my village people suffering and dying because of Diarrhoea. I was unaware about the cause of this disease. 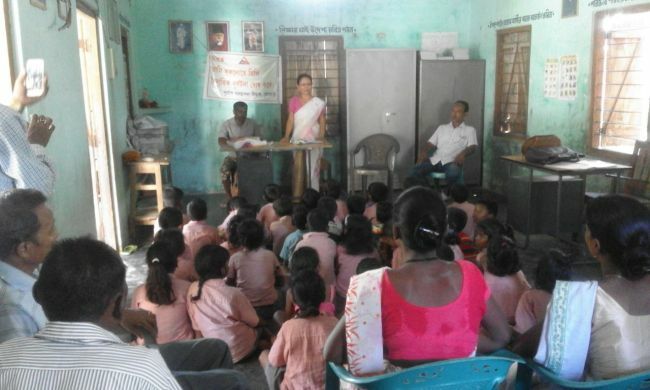 After attending a session about health that was conducted in my village, I got to know that the reason behind this deadly disease is the lack of safe sanitation and hygiene, says Mrs Bonti. I already had a toilet at home, that’s why I knew the benefits of using one. I knew how to use a toilet, how to keep it clean and the basic steps of good hygiene after using a toilet. I thought, I will use my knowledge and educate everyone in the village, so that they can also live a healthy lifestyle, just like me. With education as her tool, Bonti started going door-to-door and started teaching people who didn’t have a toilet at home on why it is important to get one and the basic rules to follow for a healthy life. “I taught my villagers how to wash hands with soap, how to use a toilet at home, how to keep it clean and other rules to a healthy lifestyle, ”added Bonti. Last year, on October 2, Bonti’s village was declared open defecation free. She was instrumental is getting more than 2,000 toilets built in the village. What I did was not something out of the box, just sheer dedication and the achievement is huge. I am glad that I am part of India’s biggest cleanliness initiative. I want to urge each one of you to just do something about fulfilling the dream of Clean India. One simple step by all of us can together help us achieve the target. Previous Post: “Practice what You Preach”, Says 38-Year-Old A.Ramesh From Andhra Pradesh Who Made His Village ODF. Next Post: This 35-Year Old Is Promoting Plogging In India, Promoting Health and Environment Awareness.